Answers that our churches have forgotten. Thieves love Christmas. We sometimes hear stories about a green man who lives in the mountains and steals all of the Christmas presents just to take all of the joy out of this special holiday. Yet even if all of the Christmas presents are gone, Christians testify that there is a greater meaning. Christmas marks the anniversary of the day of the incarnation, when God became man to set the world right and call his people into himself. He promised that this world will be made new, that the lion will lie down with the lamb. God’s people will inherit a world with no more death, suffering, anguish, sickness, or tears. This promise was born into the world on that special day, more than 2000 years ago. Yet the grinches out there are not satisfied to steal only our presents from under the tree. They want all of our gifts, even those given to us by God. Consequently, they will ask if God has truly become a man, citing a host of internal contradictions in the theology of incarnation. While the elves are not saving Christmas from Christological contradictions, the apologists are. As Christians, we believe that Jesus Christ was more than the Savior of the world, the King of the Jews and even the Messiah. He was God himself. But he was also a human being. Christians typically refer to this mystery as the hypostatic union. As the Nicene Creed says, Jesus is “the only Son of God, begotten from the Father before all ages, God from God, Light from Light, true God from true God, begotten, not made; of the same essence as the Father.” The apostle John wrote in inspired Scripture, “No one has seen God at any time; the only begotten God who is in the bosom of the Father, He has explained Him.” God became a man. The author wrote himself into his own story to be the sacrifice for our sins. But the professor of philosophy, Dr. Grinch, has made no small effort to undermine the Christmas story, arguing that it is not logically possible for God to be born into the world. As we think about whether God could become a man, we must define who God is and who man is. If one is to criticize the Christmas story, then he will have to work with the Christian conception of God, which is to say that God is necessary in his existence. This is where Professor Grinch mounts his argument against the incarnation. God is necessary and man is contingent. There could therefore never be a God-man or a hypostatic union because there are contradictory attributes. In other words, the argument is that God is too great to become a human being. Human beings are frail and weak, while God is all-powerful. In his book The Logic of God Incarnate, Thomas Morris takes on this and several other challenges. 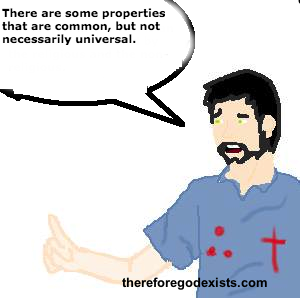 He pointed out that while contingency is a common property among mankind, it does not have to be a universal property. There is no reason to think that just because all of the human beings that we perceive are contingent, that therefore all human beings are contingent. In fact, on Christian theology, many believe that the first man and woman – Adam and Eve – did not possess certain properties that are universal. Adam was not a mortal when God created him. The rest are mortals as a consequences of Adam’s sin. Comparably, Jesus Christ was not contingent despite that contingency is a common property among mankind. How Could An Impeccable Man Be Tempted? This is an alleged contradiction that is unique to Christian theology. If it were not for the sacred Scripture, this argument might not emerge. In Matthew 4:1-11, Matthew tells us that Jesus was tempted to sin. Satan offered him bread to break his fast and the riches of the world, and Jesus was truly tempted. Professor Grinch argues that if Jesus was truly tempted, it would follow that he was not actually impeccable. Impeccability means not only that you never sin, but that sin is an impossibility. If Jesus was impeccable, that will mean that the temptations were not genuine, hence he was not truly a man, and the incarnation was false. However, if Jesus was not impeccable, then he was not truly God, and the temptation was false. Some open theists, such as Dr. Bob Enyart, in his debate with James White actually think that is the case, that Christ could possibly have sinned. There are a few points that we may make in an effort to save Christmas. First, the temptation of Christ was not a sin in itself. It did not come from within, because on Christian theology, he did not have a sinful nature. It came from an external force. In the case of the rest of us, sin often comes from within as we fantasize about the pursuit of our unbridled lusts. In that case, temptation would be sin. So long as we remember that temptation is not inherently sinful, I do not know that it compromises impeccability. Second, the question seems to be whether it is possible to attempt the impossible. 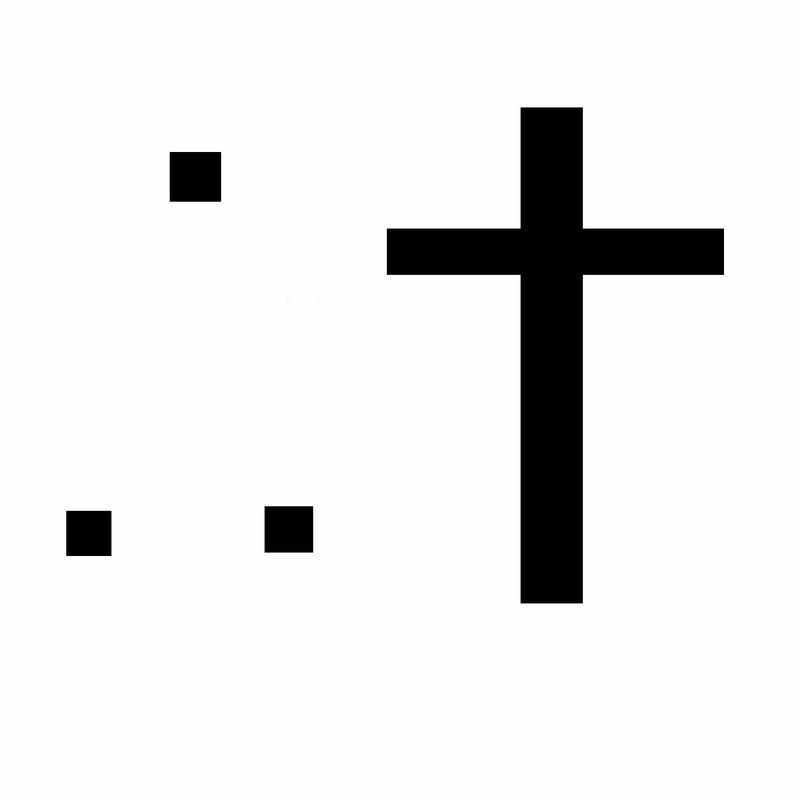 If Jesus had attempted to draw a square circle, we would not say that this compromised his omnipotence. Temptation does not necessarily imply that he was vulnerable to sin. If he had an infinite treasury of power to resist sin, then temptation and impeccability would seem to be compatible. I am not referring to a Nietzchean ‘Death of God’ scenario in which we live in a purposeless universe. I am referring to Christian theology, in which God literally died. Some Christians are uncomfortable with that concept. Their minds may boggle because God cannot die. If God truly died, then he would pass out of existence. It would a Nietzchean Death of God. Instead, some Christians will say that the man died. The human nature died, but the spirit lived on. There is some truth to that. But it must also be affirmed that God himself died on the cross. Jesus was God in every moment. He was God when he was tempted. He was God when he was born. He was God when he was hungry, and he was God when he died. There is not a single moment of the humiliation of Christ in which he was not truly God. If there was, it would not really be a humiliation, and the incarnation would be false. This will summon back the larger question of how God could die. Think of a funeral that you have been to. Your loved one died. God also died. Many people overthink this concept and then equate death with ‘passing out of existence,’ which is not necessarily what death is. Death is a function of biological organisms. God became a biological organism and died as a biological organism. It is not as though the trinity was in disunity or that God ceased to exist. It means that God became a man and died as a man. It is incorrect to picture some sort of cosmic death. It was a normal death just as people die today. God died the death of a man. Another essential feature of Christian theology is the doctrine that God knows all things. As Peter said in John 21:17, “Lord, you know all things.” Peter recognized that Jesus possessed the attribute known as omniscience. Yet in Luke 2:52, the text says that Jesus grew in wisdom and stature. This would seem unavoidable on any model of an incarnation, whether Christian or not. You simply cannot have a baby who is contemplating quantum physics. Babies have to learn to speak. Young men have to grow in wisdom and stature. Dr. Grinch may tell us that this is a significant problem for the doctrine of the incarnation. After all, how is it that God could learn? Dr. William Lane Craig pointed out during his Doctrine of Christ series that Jesus might have had what is known as subliminal knowledge. Subliminal knowledge is a psychological term that refers to knowledge that you possess, but that you cannot recall at that particular moment. You might know the name of your third grade teacher, but you just cannot remember it. A few moments later, it will just come to you. Jesus does know all things, but most of that knowledge is subliminal during his humiliation. While it protected him from making any errors, he could not always reach in and grab hold of it. That is why Jesus had to learn, to grow in wisdom and stature, and why he said that he did not know the day of his Second Coming. While most of Dr. Grinch’s contradictions on Strong Atheism’s blogpost about this topic can be resolved by making the distinction between universal and common properties, there is one that might be a little more confusing, namely, the doctrine of omnipresence. Omnipresence is typically defined as the view that God is everywhere, all of the time. Yet when Jesus became a man, he did not appear to be omnipresent. You could see his physical body, including where it ended. That is why we sing the hymn with the words “The Little Lord Jesus.” He was physically little. But how could someone who was physically little be God? Appealing again to Dr. Craig, I think that this objection oversimplified the concept of omnipresence. Omnipresence does not necessarily mean that God is diffused through the universe, like a gas. If that were the case, then the concept of God being present in the Temple or speaking to one of the prophets would have no meaning. God was more present in these locations? 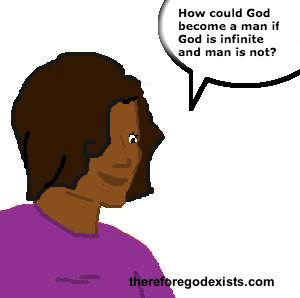 If he is not fully present, then that means that parts of God are scattered around the universes? This concept of omnipresence is very easy to reduce to absurdity. Dr. Craig pointed out that omnipresence is a little more subtle. The doctrine of omnipresence means that God is causally active, everywhere in the universe. We can develop a possible model in which Jesus was, but had subliminal knowledge of it. I think that will diffuse the objection that Jesus was not truly omnipresent. Is The Oneness Versus Trinity Debate Theological Nitpicking?